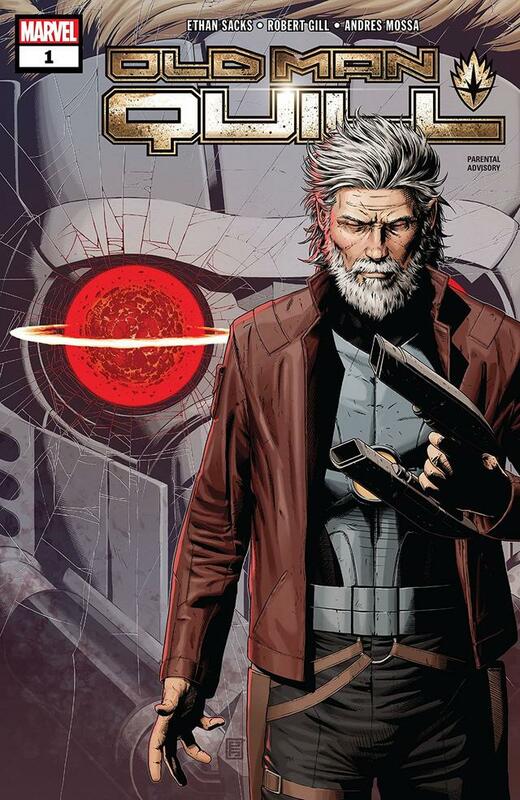 Get ready for a wizened hero in 'Old Man Quill' #1 with a look at the Guardian of the Galaxy's history! We all know Peter Quill (AKA Star-Lord) as somewhat of an immature jokester, but he’s about to grow up in a big way thanks to writer Ethan Sacks and artist Robert Gill in tomorrow's OLD MAN QUILL #1. 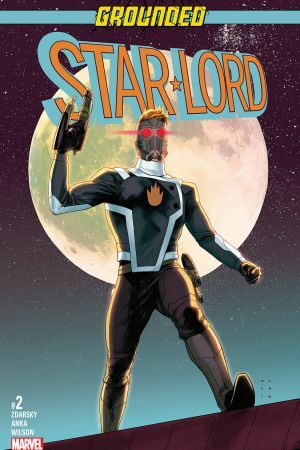 Despite this new turn toward's responsibility, Star-Lord hasn't always been quite the man-child he’s purported to be; he did lead the Guardians of the Galaxy, after all! Well, could anyone really lead such a band of misfits and renegades? That’s beside the point. Before he gets all aged up and grey-bearded, let’s revisit some of Peter Quill’s most mature moments of adult decision-making over the years, shall we? In his solo days, Peter traversed the galaxy with a ship that was also his friend. No joke. The ship’s name? "Ship," of course! One day, Quill had to make a very difficult call on wiping out thousands of lives to save millions. This was all to thwart the Fallen One, a former Herald of Galactus. 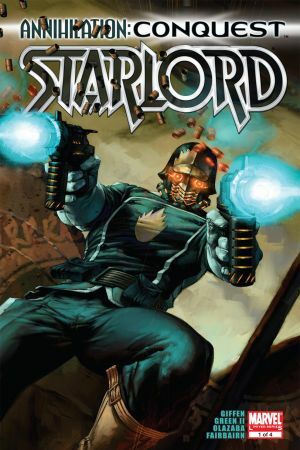 After the Fallen One was defeated and 350,000 lives wiped out, Quill felt horrible guilt and renounced the title of Star-Lord. With Ship damaged beyond repair, he handed himself over to the Kree Empire. While in the custody of the Kree, Peter became a military advisor to Ronan the Accuser. With Ronan’s blessing, he established the second Guardians of the Galaxy. The purpose of this group was to act as a preventive task force against future galactic threats. 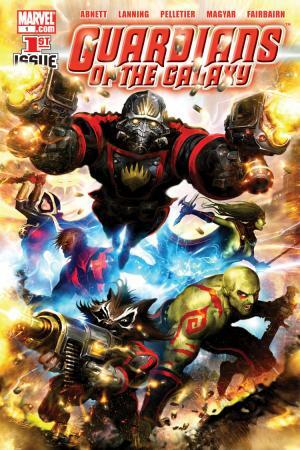 Members of this task force included: Mantis, Drax the Destroyer, Gamora, Quasar, Rocket Raccoon, Adam Warlock, and Groot. During the events of THE THANOS IMPERATIVE, Star-Lord sacrificed himself—along Nova—to keep the Mad Titan (who had just wiped out an entire universe) occupied and ended up trapped in the Cancerverse, a dimension devoid of any death. 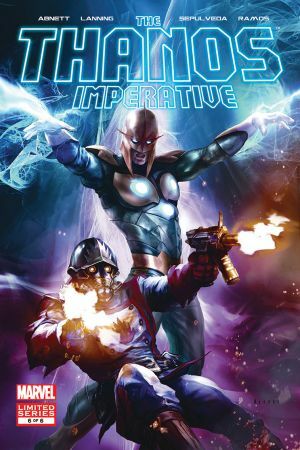 Despite this noble sacrifice, Quill and Nova escaped at a later time—as did Thanos. Before then, a memorial service was held for the “fallen” heroes with the Guardians going their separate ways afterwards. This seemed to indicate that Peter was the glue holding them all together. No person (or alien) in their right mind would trust an immature jerk with the keys to an entire cosmic empire, right? Right?! 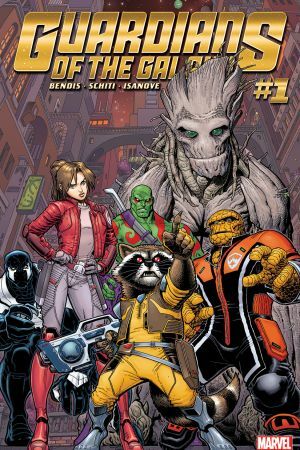 In later versions of the GUARDIANS comics, Peter quit the group in order to rule over the Spartax Empire like his father (J’son) before him. Luckily, Kitty Pryde was there to take over as the new Star-Lord. While no longer an intrepid space adventurer, Quill got to wear a cool diplomatic sash and consort with slimy aliens in order to strengthen his empire. If that isn’t the definition of maturity, we don’t know what is! By the way, the new OLD MAN QUILL series takes place after Quill's reign as Emperor of Spartax. Let's just say it was a rough ride. After he was grounded on Earth, Quill tried to be a vigilante, but was arrested and convicted by the legal efforts of none other than Matthew Murdock. But thanks to some last minute testimony from Abigail Brand of the Alpha Flight Space Initiative, Peter didn’t get jail time. Instead, he was forced to pay a fine of $10,000 and put in 100 hours of community service. The latter requirement forced him to spend time with Edmund Allen at the Winters Retirement Community in New Jersey. Over the course of an afternoon, he helped put some action back into the monotonous life of old man Allen, who even assisted Quill in getting an Earth job as a bartender. Read OLD MAN QUILL #1 at your local comic shop on Wednesday, February 6!